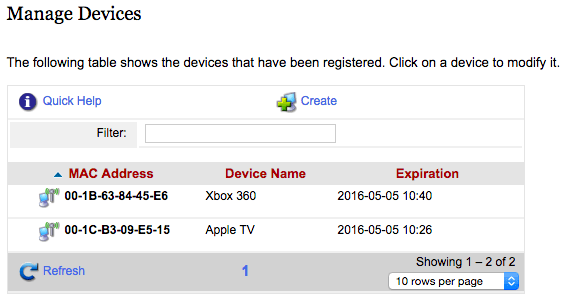 To register a device to the Wired Network at FIT, you will need to find the device’s MAC Address. You may register up to three compatible devices to the Wired Network when you are on campus, you will not be able to register devices when you are off-campus. Once a device is registered it will automatically connect to the FIT Wired Network once plugged into a working data jack with an Ethernet cord. Registered devices not plugged into data jack will not be connected to the Wired Network. If the device you wish to connect to the network can’t show a webpage – such as an Apple TV, Roku, PlayStation, XBox, or other consumer devices, you must will need to register the device using a computer, phone or other device that can connect to a webpage. 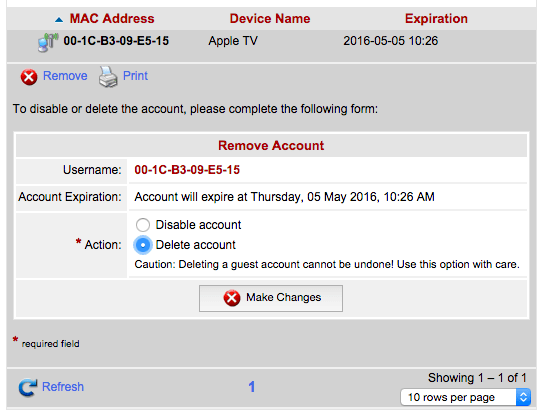 Once you have the MAC Address, please follow the steps below to register a device and manage devices you have previously registered. Go to https://nac.fitnyc.edu/guest and log in using your FIT Username and FIT Password. Please note this page is only accessible from devices connected to the FIT Network you will not be able to access this page off-campus. 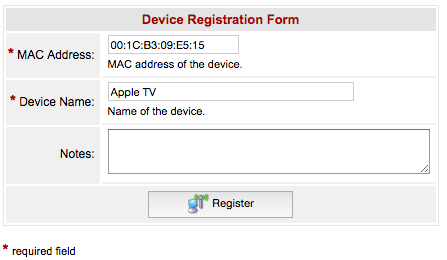 Complete the Device Registration Form by entering in the device MAC Address and Device Name. If you have successfully registered your device you will receive a Device Receipt. You may register up to three devices, this allows you to swap out devices connected to the FIT wired network without having to authenticate each time. Connect the registered device with to the data jack in your dorm room with an Ethernet cord. *Registered devices not connected to a data jack will not be connected to the Wired Network. You may register up to three devices, this allows you to swap out devices connected to the FIT wired network without having to authenticate each time. 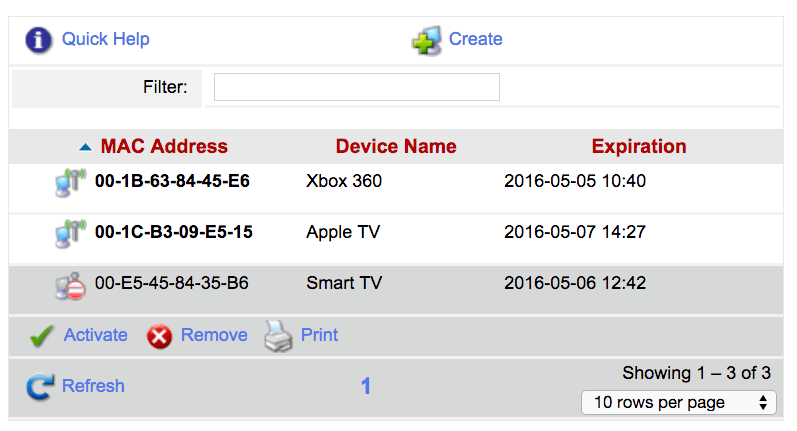 Select “Manage Devices” from the menu on the left of the page. You will see a table of all the devices you have registered. Click on the device you want to modify. Select Disable or Delete then click Make Changes. To activate a disabled device. Click on the disabled device (a red circle with a white line indicated a disabled device). Click on the green checkmark to activate. Registered devices will automatically connect to the FIT Wired Network once plugged into a working data jack with an Ethernet cord. *Registered devices not plugged into data jack will not be connected to the Wired Network. Please be advised that some devices may not work on the FIT network. Please go to What devices can I connect to the FIT Internet? to verify that the device you are trying to connect is supported. If the device you are trying to connect is supported to connect to the Wired Network try the following troubleshooting steps. 4. Residents in 27th Street Dorms (Alumni, Nagler, Coed) may have to contact TechHelp to have your jack activated. If you are unable to resolve your connection errors, please contact TechHelp.